Saudi Arabia is moving heavy military equipment including artillery to its border with Yemen, Reuters reported today. The development raises the possibility of a proxy war in the impoverished country, pitting forces loyal to President Hadi, supported by Saudi Arabia and the GCC, against the Houthi insurgents, supported by Iran. Iran backs AnsarAllah, or Houthis, and provides them with arms, oil and other financial assistance. 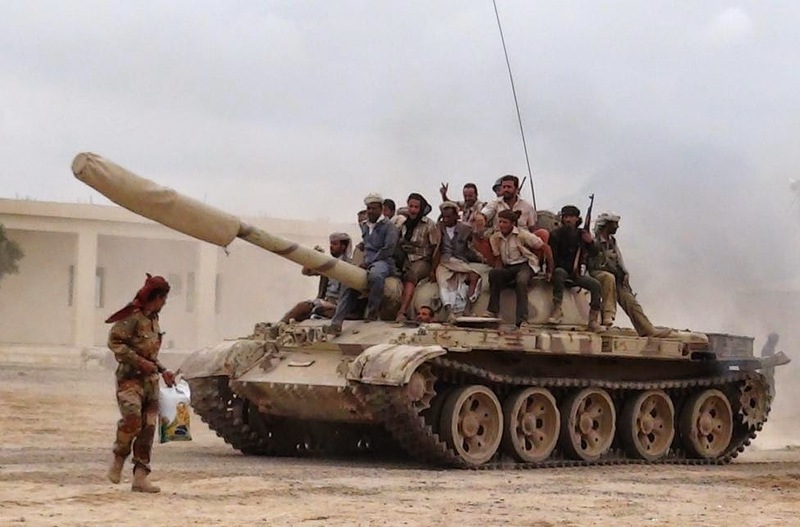 The Shia insurgents overran the capital Sanaa in February and overthrew the government of President Hadi, captured the third largest city Taiz on Sunday, and are now poised to attack Aden, the capital of southern Yemen. On the opposing side is President Hadi, leading elements of the military and the Sunni tribes. Saudi Arabia and the GCC have continued recognizing Hadi as the country’s sole elected and legitimate leader, and are poised to intervene militarily on his behalf. In fact on Monday the Hadi government, now based in Aden, requested GCC military intervention to stop the Houthis. Saudi Arabia has porous 1,800 km (1,100 miles)-long border with Yemen. An unnamed U.S. official has told Reuters that the Saudi build-up is “significant,” and the Saudis could be preparing airstrikes against the Houthis advancing toward Aden. Hadi’s prospects, however, appears to be worsening and for now he is “pretty well pinned down,” observed the U.S. official. Or maybe they're simply trying to secure their borders with Yemen. I find it hard to believe that Saudi Arabia would actually start a fight with the Houthis. I don't believe the Saudis want to start a war with the Huthis. If they intervene, and that's an if for now, it would be to save Aden and stop the Houthis to completely take over the country. The ball could very well be on the Houthi's court. the Saudis have bombed Houthis in the past...and there's little reason to think that they wouldn't do it again. arabs like KSA are bad at war so initiating any military conflict wont do them well. Why do you think america likes KSA and UAE as arms buyers? they buy alot of expensive stuff only to just sit on it. bluff by KSA! The Saudis have no other choice than to start bombing the Huthis and they will do that together with other allies such as UAE. Redline has been passed for GCC and they will not wait for any further advancement towards Saudi border in order to attack. This is exactly what Iran wants as finally Saudi must negotiate with Iran on certain issues such as ISIS, help to Arab and Baluchi separatists and also Iranian nuclear deal with US where Iran wants less Saudi noise. As far as I know they only bombed the Houthis when the latter penetrated into Saudi territory. Besides, Houthis back then weren't nearly as strong as they are today, and yet, the Saudis still managed to suffer too many losses which generated lots of debate for them back at home given the tens of billions of dollars spent on defense. I don't think a fight with the Houthis is what Saudi wants. Anyway, the Houthis are moving in on Aden as we speak and Hadi is hiding after a price was put on his head by the Houthis ($93,000). Either they're not so afraid of PGCC involvement and believe that Saudi Arabia's intervention talk is a bluff, or they've been promised robust support by Iran in case things do go south and therefore want to raise the stakes and control as much territory as possible before the PGCC is officially involved in the conflict. Also, who's flying their planes? Iranian pilots? the Saudis may not want war with the Houthis but they may feel it necessary to bloody them a bit.